Young Humanists International is opening applications to apply to become a 2019 “Young Humanist Regional Hub“. Grants will be awarded for all activities, events and projects focusing on the promotion of humanism specifically for young people. Please notice that applications must be made on behalf of Humanists International good standing Member Organisations (not individuals). 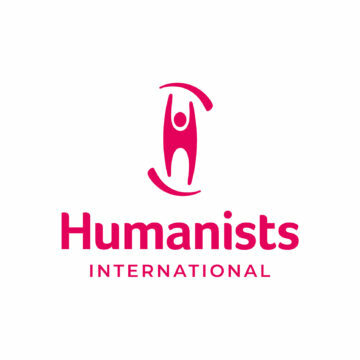 If your organisation is still not member of the Humanists International, you can apply for membership from our website. What kind of projects will be awarded? Books, documentaries and media resources meant to spread the humanist message to young people. A committee composed by both members of the staff of Humanists International and by elected members of Young Humanists International will follow the award process, securing that the best projects will be funded in a spirit of transparency and efficiency. Project feasibility – how realistic and clear are the goals of the project? Organisation reliability – does the organization have a good record of successes for similar projects? Impact on neighbours – how much will the project impact on neighbouring humanist communities (e.g. in neighbouring countries)? Budget consistency – how clear is the way and the timing in which the fund will be spent? Potential for achieving Young Humanists International strategic objectives – how impactful is the project for the goals of Young Humanists International? Please bear in mind that the Grant Committee will award grants starting from a minimum of £500 to a maximum of £4 000. Grants will be awarded after the signing of a mutual agreement between Young Humanists International and the successful applicant organisation. Larger grants will require stricter agreements, which might include for example a gradual release of the fund after reaching specific milestones. If you are interested in applying, please email in the first instance Humanists International Growth & Development Officer Giovanni Gaetani (giovanni@humanists.international), broadly describing your ideas with an initial estimate of costs to verify that your project is eligible for a grant. After receiving feedback, you will be sent the link to the application form, at the end of which you will be asked to submit a project proposal in PDF (minimum two pages, maximum twelve pages). The project proposal should clearly show how the organisation and the project itself meet the five above-listed criteria. The Grant Committee will not take into considerations applications received beyond the deadline or not submitted through the application form. At the end of the award process we will contact all applicant organisations, including those who have not been awarded, but we might not be able to provide a detailed feedback for all of them. The deadline for applications is Sunday 12 May 2019 and we will aim to make a decision on grants to be awarded by Sunday 19 May 2019.